The EU and the USA have well established economic ties and already share the largest trade and investment relationship in the world that are the basis for current negotiations on a Transatlantic Trade and Investment Partnership (T-TIP). The USA has an important cluster community that can easily be discovered thanks to the US cluster mapping. An EU-US Cooperation Arrangement on Clusters was signed on 22 April 2015 between the U.S. Department of Commerce and the European Commission's DG GROWTH, aiming at facilitating transatlantic linkages between EU and US clusters, and to help SMEs find strategic partners. Collaboration between US and EU clusters is already ongoing and well supported through business networks and cooperation facilitators. The United States of America is a stable and democratic country, the US are ranked among the first 30 countries with the lowest regional political risk in the world. The US is one of the most technologically advanced economies in the world and is ranked as a high-income economy by the World Bank, boasting a per capita GDP of USD 54,353 (EUR 44,712) for 2014. This dynamic economy holds a growth rate that grew from 2.2% in 2013 to 2.4% in 2014 and 2015, and it is projected to continue growing in 2016, reaching 2.5%. However, the expected annual growth rate will reach 2.3% in 2017. The US has a predictable and stable environment for business investment, and is consistently ranked among the countries with the fewest political and security risks for businesses and their workers. The country considers itself as an economy open to the world. In this regard, the US is a top trading partner with the EU, accounting for 15.3% of the total trade in 2014 and 18.3% of the EU trade in terms of total exports in 2014. In terms of FDI outflow to the EU, an estimated EUR 69.5 billion have been transferred to the EU in 2014. Moreover, the US has 14 FTAs in force with 20 countries as of January 2015. The US is negotiating a regional FTA, the Trans-Pacific Partnership (TPP), with Australia, Brunei Darussalam, Canada, Chile, Japan, Malaysia, Mexico, New Zealand, Peru, Singapore and Vietnam. 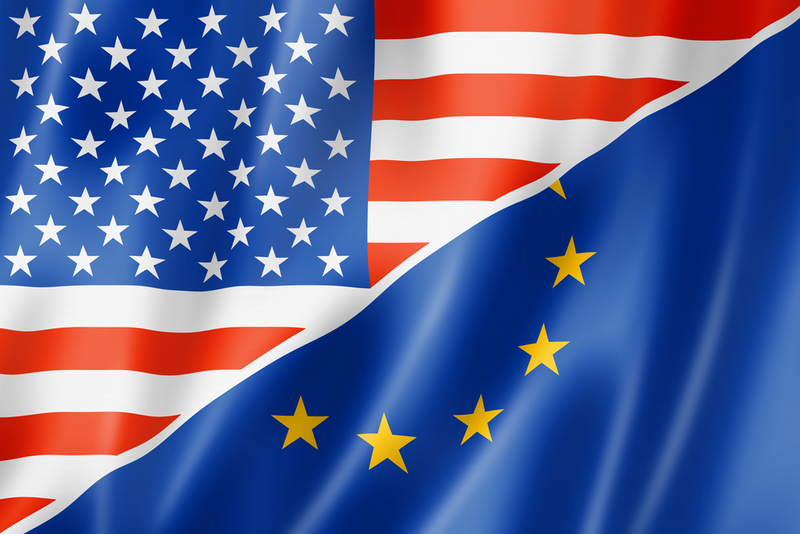 The US and the EU launched negotiations on the Transatlantic Trade and Investment Partnership (T-TIP) in June 2013. Relations between the EU and US are excellent, with a established diplomatic relations as early as 1953, later formalised in November 1990 with the Transatlantic Declaration, and then the New Transatlantic Agenda (NTA) in December 1995. Within the NTA framework and in line with the Transatlantic Economic Partnership (TEP) launched in 1998, the Transatlantic Economic Council (TEC) was created in 2007 to take forward efforts to boost the transatlantic economy through identifying policies and measures to increase EU-US trade and investment to support job creation, economic growth, and international competitiveness. In keeping with the evolving political and legal environment of the EU, there is active cooperation across a host of sectors: cooperation in justice and home affairs, energy and energy security, environment, science & technology, and education & training. Together, the EU and the USA have the largest bilateral trade and investment relationship in the world, roughly 31% of the world trade and over 49% of the world GDP. As previously stated, the US is a top technology advanced country, with organisations that are at or near the forefront in technological advances. In this regard, the US spent about 2.81% of its GDP in 2012 (GERD as a percentage of GDP) on R&D, which is slightly higher than the average of OECD countries (2.7%, 2012).Read less. In the US, industry clusters have been around for a very long time acting as a catalyst for economic growth. For instance, Detroit is known for the auto industry, Pittsburgh for steelmaking, Silicon Valley for technology among others. Therefore, the US has an important cluster community. According to the Cluster Mapping Project, developed by Harvard Business School and the US Economic Development Association, there are US traded clusters in 51 different sectors and US local clusters in 16 different sectors. Local clusters sell products and services primarily for the local market and are located in every region. Examples include Local Entertainment such as video rental services and movie theatres, Local Health Services such as drug stores and hospitals, and Local Commercial Services such as drycleaners. Traded clusters are those which serve markets in other regions or nations, and are concentrated in regions that afford specific competitive advantages. Examples of traded clusters include Financial Services in New York City, Information Technology in Silicon Valley, and Video Production and Distribution in Los Angeles. Traded clusters usually represent a mix of companies of various sizes that by definition go international. Most clusters are represented by a formal cluster organisation, although some of them have public and/or private organisations (e.g. Federal Agencies, Industry Associations, etc.) that aim to promote competitiveness and innovation in the sector. These cluster organisations are mostly composed of businesses or directed to businesses. However, there are clusters, such as the Advanced Power Cluster or the Huntsville Defence Cluster, that seek to support high-technology businesses and connect them with R&D organisations, such as the National Aeronautics and Space Administration (NASA). These industry clusters comprise a broad spectrum of stakeholders: small businesses, larger companies, and supporting entities, such as universities and workforce education institutions, foundations, business associations, service providers, and public sector agencies. These organisations work synergistically together to enhance and support the industries in which the clusters operate. Regarding the establishment of clusters, many traded clusters have been created in recent years, especially in the business services sector and distribution and electronic commerce sector (Establishments Time series by Traded Cluster 1998-2013, U.S. Cluster Mapping Project, Institute for Strategy and Competitiveness, Harvard Business School. Data Sources; www.clustermapping.us/cluster#timeline), thus increasing the odds of cluster organisations or equivalent association’s development. On the other hand, some trade clusters disappeared in recent years, such as in the construction and insurance services sectors. The US is embracing the system of label or guarantee of quality from national programmes such as the ESCA certification (bronze, silver, gold label). The New England Water Innovation Network participated as the first US cluster organisation successfully achieving a Bronze Label of the ESCA. The assessment was conducted by Thomas Lämmer-Gamp of ESCA and Merete D. Nielsen of Cluster Excellence Denmark. The U.S. Cluster Mapping Project aggregates all the US clusters providing valuable insights on business environment, demographics and performance of the clusters. The platform is the most formal US cluster connector and can be considered as a cluster macro-association.Read less. Furthermore, one of the pillars that President Obama established through the “Strategy for American Innovation” (2009) is the creation of the right environment for private-sector investment and competitive markets, which includes internationalisation and promotion of regional innovation clusters. The US Small Business Association (SBA) is investing in regional innovation clusters throughout the country that span a variety of industries, ranging from energy and manufacturing to advanced defence technologies. In addition, the Cluster Mapping project is an initiative of the SBA. 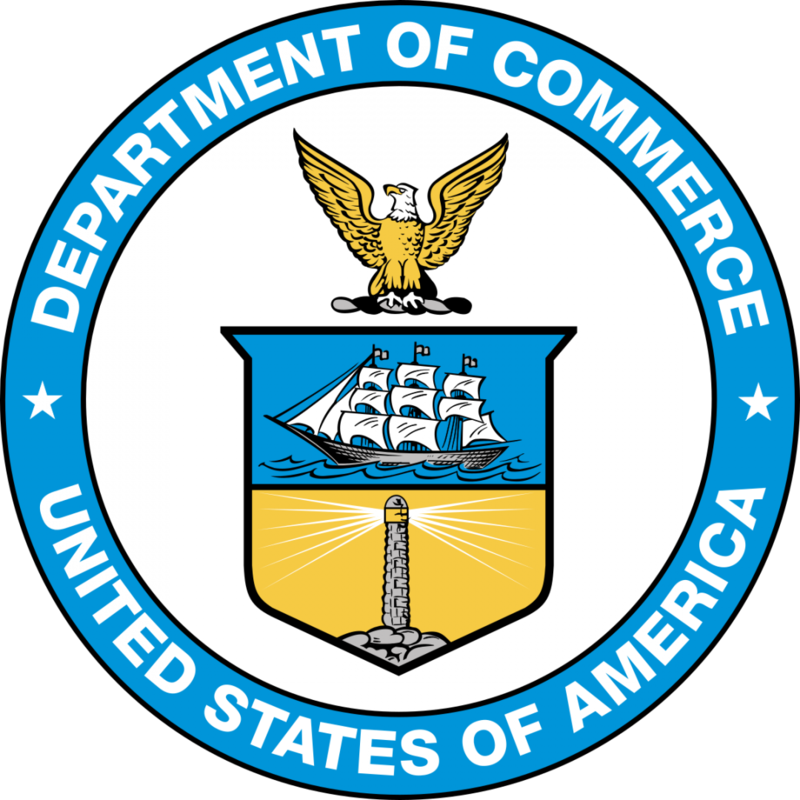 Furthermore, an EU-US Cooperation Arrangement on Clusters was signed on 22 April 2015 between the U.S. Department of Commerce and the European Commission's Directorate-General for Internal Market, Industry, Entrepreneurship and SMEs. The objective of this agreement is to facilitate transatlantic linkages between EU and US clusters, and to help SMEs find strategic partners. The US involvement and interest in cooperating with the EU is a clear sign of mutual interest to work on common thematic areas, boost exchange of knowledge and increase the growth opportunities between clusters of the two regions. Read less. There are several examples of C2C cooperation between the US and EU such as the French ICT cluster “Systematic” that is represented in Boston hub, or the EU Global Cleantech Cluster Association that in 2010 included three US clusters as new members. Furthermore, the EU Global Cleantech Cluster Association has fostered networking and B2B opportunities among its members. Also, there has been the EU-US Cluster Matchmaking event in Milan Expo 2015 as an opportunity for clusters from both regions to learn about each other. The US turnout for this event was poor; nevertheless, it is an example of how the US and the EU continue efforts to cooperate through the cluster community. Moreover, the EU-US Cooperation Arrangement on Clusters was signed in Washington DC earlier in 2015 between the U.S. Department of Commerce and the European Commission's Directorate-General for Internal Market, Industry, Entrepreneurship and SMEs, expressing the strong interest for both regions to collaborate. Furthermore, US events which foster C2C networking were identified, such as the International Cancer Cluster Show Case 2016 in San Francisco. Additionally, some cluster sectorial domains are strategic for Europe due to the existence of a strong cluster community. As previously mentioned, US traded clusters were identified in 51 sectors and almost all are sectors represented by clusters in Europe. Furthermore, many of those sectors have a high number of EU clusters. EU business networks and cooperation facilitators are also located in the US. In this regard, it can be mentioned that the Enterprise Europe Network (EEN) is present in the US in Cleveland, Durham, New York and San Diego. Moreover, the European Business Innovation Network (EBN) has an established presence in the US through the Santa Fe Business Incubator. EBN provides a global market access to SMEs in the US, through its international network of members. 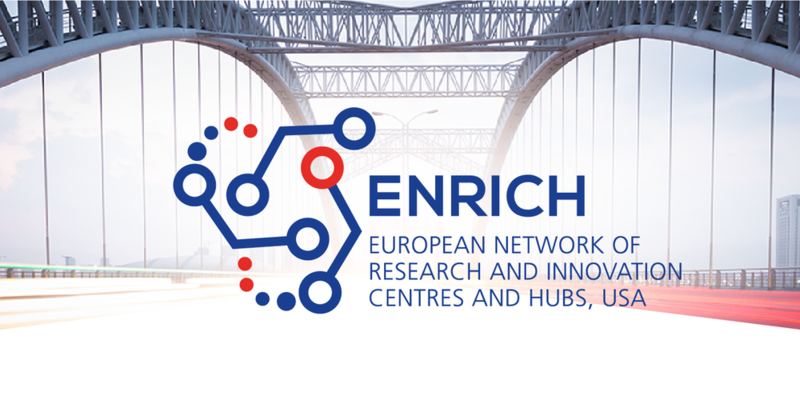 EBN is also known through its connections with multiple European clusters such as University of Warwick Science Park (United Kingdom) and Savoie Technolac (France), among others.Read less. EU Delegation in the U.S. ENRICH in the USA initiative (powered by NearUS) announces exciting opportunities for 2018!